The electric car company Tesla has established a reputation for building attractive and innovative vehicles. The company has completely reframed what it means to be an automotive manufacturer. They have innovated in almost every area of the manufacturing, sales, delivery and support processes. They realised that pure electric drivetrains and battery technologies required step changes in efficiency rather than just gradual evolutions of existing designs. So they extended their scope outside of just manufacturing the car itself, to building charging networks across countries and building their own battery production plants. They understand the advantage of scale, but also the challenge this presents and so extended the battery use cases to include power plants for the home with their Powerwall units, etc. In terms of sales strategy they eschew the existing dealer channels and sell directly through their own outlets. They also provide levels of support to owners that are impressive and at a higher level despite not having an extensive dealer network. Tesla treats the vehicles they manufacture similarly to that of a customers personal computer or mobile phone. Anything that can be done to improve the ownership experience without inconveniencing the customer is done, often remotely and automatically. In an industry sector where these levels of service are often the exception rather than the norm, it is transformative. Of course, the company still has huge challenges to overcome. They are still struggling to scale up production of their mass market product the Model 3. It seems that established car companies still know a thing or two about building lots of cars on a consistent basis. Apparently, the company is also burning through cash at a prodigious rate and if their sources of funds lose faith, it could result in an unhappy ending, etc, etc, etc. 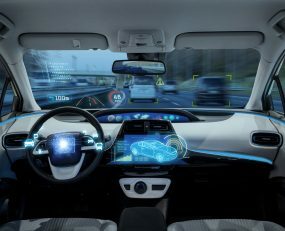 But in the past month or so, the company has yet again illustrated how their approach to car ownership is way ahead of anything else in the industry and a harbinger of what transportation will be like in the near future. The ‘Consumer Reports’ organisation in the US is a non-profit consumer advice service that is similar to ‘Which’ in the UK. It reviews a range of products and services and it’s conclusions are usually held in high regard as they are unbiased. In early May they tested a Tesla Model 3 and concluded that while there was ‘Plenty to like’ , it could not be recommended due to issues with poor braking distances. The problem was so severe in the view of CR, that they found the car had worse performance than almost any car they had ever tested. They followed up their initial test (which involved an early production car) with a more recent vehicle and this had the same result. As is typical, Tesla’s founder and CEO, Elon Musk, responded immediately questioning the results but made a commitment that if true, the company would resolve the problem with – and this is the key point – ‘an over the air update’. i.e. Remotely, as a software update without requiring a dealer visit. Moreover, the performance would be improved to levels above any other comparable vehicle. Consumer Reports were delighted that the company was taking their test results seriously and offered to retest any vehicle after the update was done. But many in the industry questioned if it would be possible to improve braking performance to the levels required just through a software update. Earlier this week, Consumer Reports announced that it now recommends the Model 3 after retesting an updated vehicle. It found that the software update has significantly improved braking performance beyond the required level. Other issues that CR found with the car regarding the way some information was displayed on dashboard touchscreen and ride and handling, would be updated in subsequent releases later this month. CR also pointed out that they have never seen ANY car that could be improved by a remote update in this way. The ability to operate in this manner is reshaping how transportation assets will be managed in the future. The vehicle itself will be part of an integrated information system whose goal is to transport people and products from one location to the next, as easily and efficiently as possible. Vehicles that are manufactured now are pretty much platforms full of sensors. With the movement towards the increased use of autonomous vehicles, it will be necessary for them to operate in collaboration with other vehicles and systems controlling things like traffic flows, capacity and demand constraints and energy supply. These will be the rules and constraints by which smart cities will operate. Providers of transportation services will have to develop their business models in line with this emerging landscape. Advanced software systems will deliver transportation services by subscription pricing, in a manner similar to the way communication and entertainment services are now consumed. Indeed it is possible that customers will buy a set number of collections/deliveries per week by subscription, with ‘top ups’ if they exceed them in periods of unexpected demand. All of the technology elements in terms of hardware and software exist today. There are a number of companies across the globe (including many automotive manufactures) who are exploring how to do this. There are also many challenges still to be resolved, including GPS accuracy (down to inches (or cms)), cellular network capacity, etc. But progress is being made and it will be transformative, as the Tesla example shows.